SAHFOS will produce a CD and web-based gridded database of 10 key plankton taxa for the North Atlantic using Continuous Plankton Recorder data from 1948 to 2002. This tool would provide users with the ability to extract abundance data and gridded products for key taxa and other variables using state-of-the-art spatial interpolation methods that have been developed at SAHFOS (e.g. Beaugrand et al. 2002) but are not yet available to the scientific community. The database will be produced by building on an existing gridded database of 120 phyto and zooplankton taxa in the North Sea that is packaged with an interactive browser in Windows format on a CD (Vezzulli & Reid, 2003). 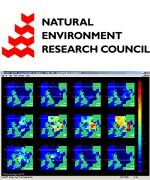 The project will also include an update of the North Sea database to include a reassessment of the grid used and incorporate compiled physical, chemical and other biological data averaged for the same pixel template and for as long a time period as available. The Windows compatible. user-friendly database interface provides an option to plot the plankton data as graphs, contour plots and contoured maps for individual months in the period 1948-2002. Plots of annual, seasonal and long-term means can also be easily produced. Statistical tests on the reliability of the interpolated pixels will be included. The Windows interface already operates successfully in the prototype and will be demonstrated as the focus of a SAHFOS contribution to the 2004 Summer Exhibition at the Royal Society.